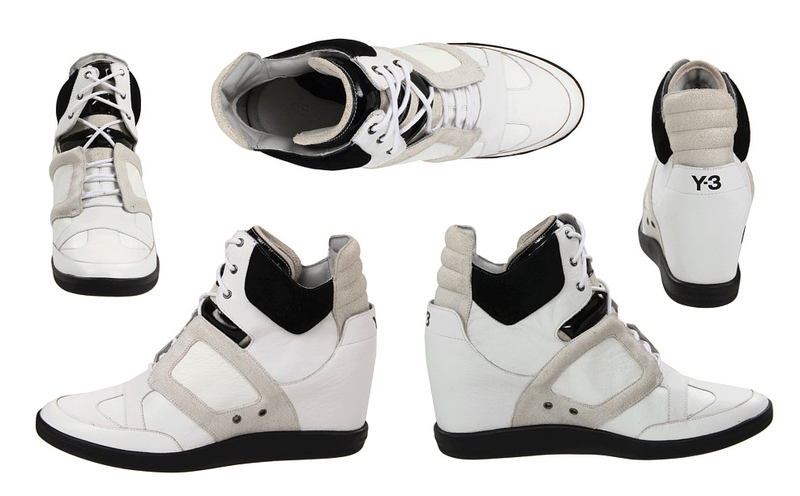 I swear I am not here to bore you with yet another post on the wedge sneaker. Isabel Marant started what I'm sure we all thought was going to be a fleeting trend, and it has stuck. In the weirdest way. I contemplated it for a minute, but quickly discovered (after trying a pair of the originals as well as a pair by Marc Jacobs) that these are best left to lanky teenage model types. And despite the fact that they are now everywhere, and available in all price ranges, I have resisted. Have not even felt the least bit tempted. Until now. 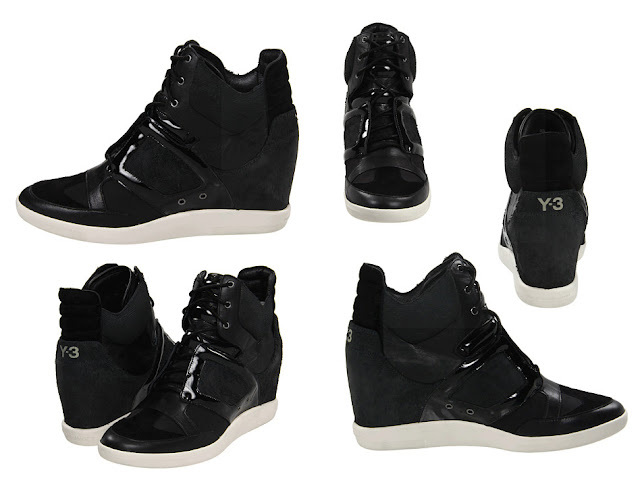 Yohji Yamamoto has created a version in the Y-3 Sukita that I am almost sure I need. I have seen these in person and I have tried them on; they are truly amazing. They don't even read like platform sneakers, they read more like Mad Max Motorcycle Battle Boots. You know exactly what I mean by that. And you know it's a good thing. I think what really makes them is the play of the different black-on-black textures and the fact that they manage to be more streamlined than their counterparts (no marshmallow cankles here). The other amazing thing about these shoes is that they are actually sneaker-comfortable. Most of the other wedges I've seen have not had comfort has a priority, but these are made by Adidas, and you can really tell the difference between these and your average fashion sneaker. Available at good ol' zappos for a pretty penny. Also in gorgeous white, but I think you lose some of the badass factor. super cool! is the toop one all black? the suede part looks greenish. It's black, but a greyer shade of black than the rest. It just reflects the light differently because it's fuzzy. In real life they look somewhere in between the first photos and the second batch, which is why I had to post them both. Pretty awesome, no? These are so great! Love and need the black ones. 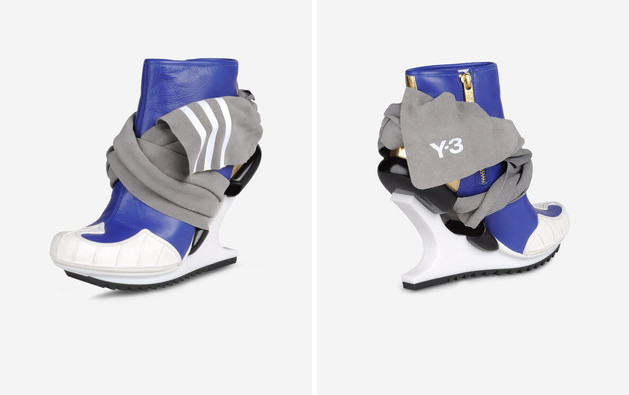 I'm so happy you posted about these, because I was also fascinated with the wedge sneaker (but now it almost seems 'too cool' to validate purchasing). And I agree with you - perhaps it is best to leave these to the tall lanky girls. I only stand at 5'3 so maybe these would look a bit awkward on me? Great post! I know, right? I have such conflicted feelings on the matter. But these Y-3 ones made me really rethink them, in a good way.